The Fathers Day Restaurant Specials are coming in, and I'm listing them here. Several restaurants are offering a Free Meal to Fathers or some other treat. Be sure to check the listing each day this week if you're taking Dad out to a Restaurant on Sunday. Buy 10 Wings, Get 10 Free! For Dad. (Dine in only and w/a drink purchase). No coupon needed. Dads receive a $25 Gift Card for a future dining experience when dining in on Father's Day. Call for reservations. Come in and ask for a free Father's Day Card and Crayons before Father's Day and have the kids create, or click to download and print the card now. Then upload a pic of your decorated card with the hastag #ROCKETDAD to Facebook, Twitter or Instagram for your shot at a free meal. Offer ends Sunday, June 15th. Free meal for the family in the form of five(5) Be Our Guest cards. All Dad's receive a $10 Bonus Card when they dine with us on Father's Day. Bonus card is valid for use towards a future visit. No coupon required for this deal. Bring Dad in and he'll receive a Free Brownie Sunday with the purchase of an entree. No coupon needed. Dad will receive a free Otis Spunkmeyer Chocolate Chip Cookie with any purchase. Dad will receive a Free Pint of Bud or Bud Light w/the purchase of an entree or sandwich. (Not valid in Illinois, Massachusetts, NJ, NY, Ohio and PA) No coupon needed. Free $15 Appreciation Card for Dad w/purchase of entree. 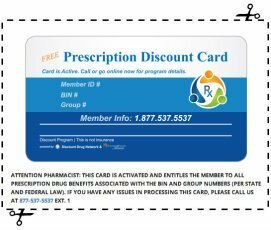 Appreciation Card expires 90 days from date of issue. Valid on next visit. No coupon needed for this deal. They are offering a Father's Day Menu, and are distributing a Two Can Dine for $17.99 coupon for a future visit, with the purchase of two beverages. 15% off your Entire Check - Valid of lunch or dinner, dine-in or curbside take-away (excludes alcohol, taxes and gratuity). Coupon below. Get a Free 6" Sub w/the purchase of any sub of equal or greater value. Coupon below. On Father's Day, text "DAD" to 52198 for a Buy-One-Get-One-Free 1/4 Chicken w/2 Sides. Dad will receive a Free Combo Meal w/the purchase of a Kids Meal. Child 12 years or younger must be present. They are offering a Father's Day brunch for $33.95. Dad's will receive a $20 Dining Card that's good for your next visit. Dads eat free - Choose from 15-layer Lasagne or any of their Original Recipe Spaghetti Entrees. No coupon required. Buy one meal and two beverages and get another entree free.